We are comprehensively presenting a wide array of Digital Panel Meters to the customers. 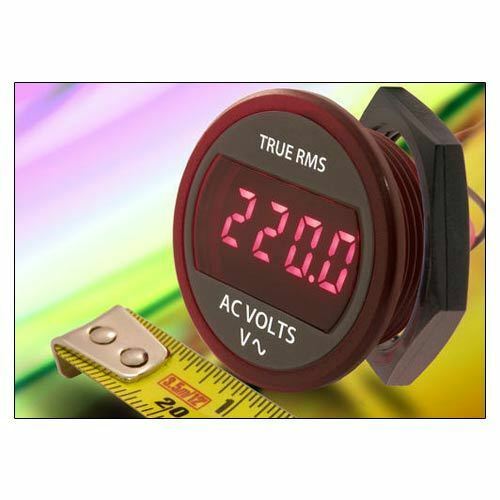 These Digital Panel Meters are highly reliable and precisely designed that satisfy the customers most. Our Digital Panel Meters are an advance instrument that measure and displays an input signal accurately in analog as well as digital form. BSM Technology Solutions is the known industry in the market engaged in trading, supplying and distributing a wide assortment of Power Semiconductors, IGBT Gate Drivers, Power Monitoring & Control Software and many more products. Being a partnership based company in the market, we are involved in providing unmatchable quality products to clients at market leading prices. Our products are known for their quality and we procured these products from the certified vendors of the market. Used in various suitable applications our products are highly appreciated and demanded amongst the customers. Quality of our products has always been the first priority for our company, thus it is our prime motive to ensure flawless products to the customers at affordable prices. Being a reputed trader, distributor and supplier, we procure branded products from renowned vendors of the market. Furthermore, we have tie up with reputed factories, vendors and production companies. In addition to this, our managing director Mr. V. S. Janardhan is capable to manage the entire business process smoothly and also make the workers to work hard and give their 100%. We deal in following brands like: HIMAG, ELDRE, AMANTYS, DYNEX, JUNIOR KUEHLKOERPER, DAU, APIC, HVR International, ARCOL etc.